Trina Felber Discusses All Natural Skincare Products and the Importance of Nourishing Your Skin. 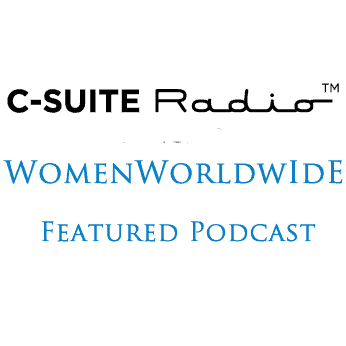 Trina Felber, founder and CEO of a natural skincare line, Primal Life Organics, joined host Deirdre Breakenridge on Women Worldwide. Trina discovered during her first pregnancy that all her high-end skincare products were loaded with toxic ingredients that could hurt her and her growing baby. Knowing your skin is the largest organ in the body and the body’s first line of defense, Trina began a quest in 2007 for organic and all-natural skincare products that were safe to use during pregnancy. She was shocked to learn there were none. At that point, Trina decided to transition from her career as a Certified Registered Nurse Anesthetist (CRNA) to an entrepreneur, launching her natural skincare products business. On the show, Trina shared the importance of giving your skin the right nutrients and why it’s important to read product labels carefully. According to Trina, if you feed your skin what it needs, it will function. Unfortunately, consumers are not aware of the toxins and harmful effects of many skincare products. Trina also discusses her favorite products from clay / charcoal toothpaste, which actually whitens your teeth, to apple cider vinegar. She challenges listeners to take the 30-day Apple Cider Vinegar Challenge. At the end of the show, Trina offers listeners a discount for a Primal Organics product starter package. Trina spent 22 years as a nurse, practicing for seven years as Certified Registered Nurse Anesthetist (CRNA). Her nursing career started in the Burn Intensive Care Unit at St. V’s in Toledo Ohio, where she learned how the skin protects you and, at the same time, the damage chemicals can cause. She believes that chemical free skincare is a choice and she’s created her skin care line so to improve her health and the health of those who use her products.